Twisted Dune Golf Club is like no other golf course in New Jersey. True to its name, Twisted Dune is a links style course with twisting landscapes, dramatic elevations, and contoured fairways. Designer Archie Struthers moved two million cubic yards of earth to bring this remarkable course to fruition; creating a true taste of the Scottish Coast, right here at the Jersey Shore. Deep ravines, towering grass-covered hills, and well over 100 deep traps and bunkers, make Twisted Dune’s 7,200 yards a memorable golfing experience for all. Featuring four par 5’s at over 500 yards, ten par 4’s, and four par 3’s, Twisted Dune GC is the type of course that serious golfers love to play again and again! Yet, with it’s many tee box options, Twisted Dune is also one of the most friendly to golfers of every skill level. 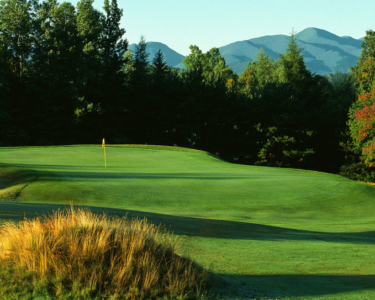 The course offers a visually stunning golf experience that rewards accuracy and course management. Come see why Twisted Dune Golf Club is consistently rated at the top of every major golf publication’s “Best of” list. While attending golf school at Twisted Dune you will be staying at the Residence Inn By Marriott Atlantic City – Somers Point. The Residence Inn offers very comfortable lodging indeed. The Residence Inn Atlantic City – Somers Point is a beautifully landscaped, all-suite hotel that is nestled between the golf course and the bay. It is ideally located between exciting Atlantic City, Ocean City and New Jersey. Our luxurious suites feature fully equipped kitchens and comfortable living rooms. The daily breakfast buffet is complimentary, as is our evening Managers Reception (Monday through Thursday). The Pier 4 Hotel on the bay is ideally located at Broadway Avenue & The Bay directly off the traffic circle in Somers Point, New Jersey. The hotel is located in the heart of the Jersey Shore’s major dining and recreation areas and close proximity to all the major corporate centers, shopping malls, Atlantic City Casino Districts, and Ocean City’s world famous boardwalk & beaches are all just a “breeze away”. Our Beauty on the Bay is approximately 3-miles from the Garden State parkway, Exit #30. Historical Victorian Cape May is a short 35 minute drive away. The Pier 4 is a four story hi-rise hotel with spectacular bay views. Recently, the Pier 4 underwent a complete room renovation with top of the line furniture, carpeting and lighting throughout. All rooms have a private balcony with a magnificent view of the bay or city. Our hotel is situated on a beautifully landscaped site with a sundeck and pool area. Both hotels are wonderful to stay at. 2 to 1 ratio is available for an additional $100 per person per day.